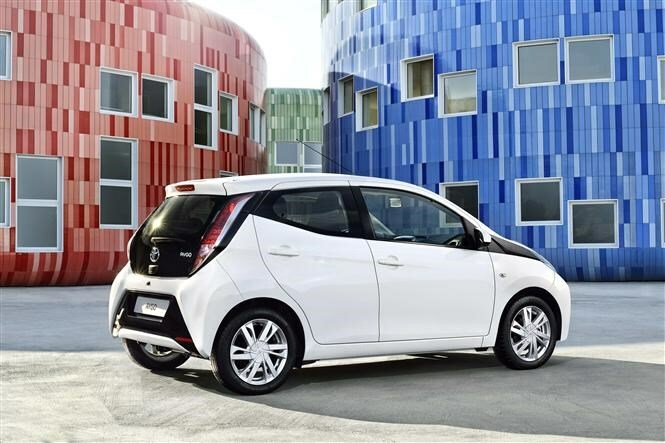 The Toyota Aygo has been a hugely popular small car since its launch in 2005. Now the time has come for a replacement and the all-new Aygo has been unveiled at the Geneva motor show. Like before, it’s been developed in co-operation with Peugeot and Citroen and underneath its choppy, angular bodywork is virtually identical mechanically to the new Peugeot 108 and Citroen C1, which also made their debuts at Geneva this year. An X-shaped pattern across its nose makes the new Aygo rather more striking and less cheeky-looking than the old one, and the new body’s dimensions make for more interior space than before. Boot volume has improved too, by 29 litres. Just like the previous Aygo, power comes from a 68bhp 1.0-litre three-cylinder petrol engine which has received a few updates for extra power and improved efficiency. Toyota claims average fuel consumption of 68.9mpg (or 67.3mpg if you go for the optional automatic transmission) while CO2 emissions are rated at less than 100g/km, meaning minimal tax costs. Naturally, you shouldn’t expect searing performance – top speed is 99mph and 0-62mph takes a leisurely 14.2 seconds (or 15.5 if you go for the auto version). UK pricing is yet to be confirmed but as before an affordable purchase price and low running costs will be key attributes for the Aygo. Inside, it’s clear that the Aygo has been built down to a price but it’s neatly designed and attractive nonetheless with the pine-cone shaped air vents a particular highlight. A seven-inch multimedia touchscreen, which will include a reversing camera display, will be available for certain models. 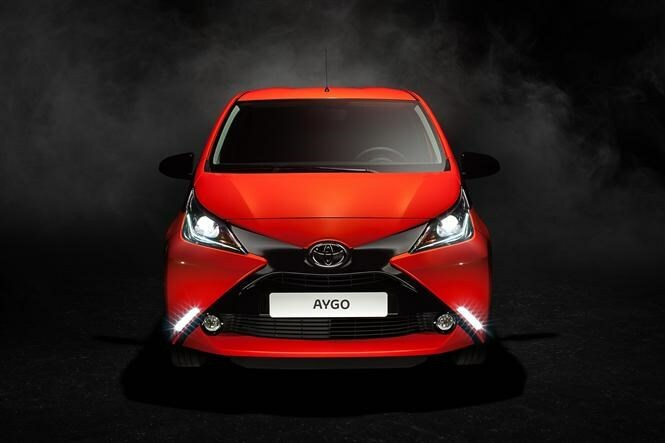 Should you wish to customise your Aygo’s appearance, there’ll be a range of different colours available for the X-shaped grille, front and rear bumpers and wheels. Similarly, it will be possible to choose different interior colours for the air vents, gear knob and centre console. 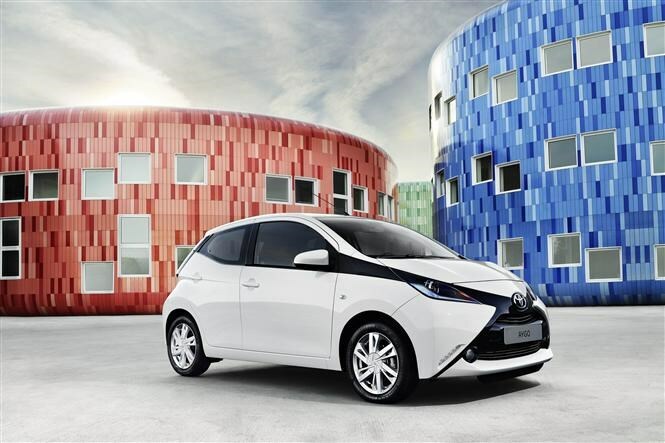 Both three- and five-door models will be available and full pricing and equipment specifications for the UK market will be announced closer to the new Toyota Aygo’s on-sale date in summer.